Pushing open a wooden door, Zhang Feng, a 55-year-old engineer, was entranced and could almost believe he was back in the house where he spent his childhood. Touching a decrepit antique locker, he remembered being reprimanded by his mother for stealing snacks as a small boy. "I was raised in a village in Zhejiang province, but I moved to Hangzhou, the provincial capital, when I was 7," he said. "I still miss my early life in the village, the fresh air and the cute animals, even though decades have passed." Zhang, who now lives in Shanghai, had reserved a rural homestay-countryside accommodations for visitors, usually provided by local residents-for his family in Zhejiang's Mogan Mountains during the Spring Festival holiday. "I really appreciate the high-quality service, but I feel there is something missing-the human touch. The furniture and decorations resemble old-fashioned pieces that rural families used, but the service was modern, like the medium well-cooked beef provided for lunch rather than baked sweet potatoes. It's a little awkward, and contrary to the environment," he said. "It's like a paradox in that the homestay seems like a modern luxury hotel wrapped up in a rural landscape," he said. The number of rural homestays has soared in recent years as a result of surging demand for leisure facilities, and policy support from the government aimed at revitalizing the countryside. According to a report by the China Tourism Association, the number of homestays had surged to about 200,000 by the end of 2017, from 50,000 the previous year. At a conference in November, Luo Shugang, minister of culture and tourism, said the rural homestay market is expected to reach 36.3 billion yuan ($5.4 billion) next year, an annual rise of 16 percent. However, the sector's development has brought problems, such as a lack of diversity, overpricing and concerns about fire safety, privacy protection and environmental damage. "The surging rural homestay market shows that we have great demand, but also indicates an undesirable tendency for investors to rush into the sector," said Lin Zhanglin, vice-president of Kchange Tourism Group, an industry researcher and consultancy. A representative of Airbnb, an online hospitality and lodgings provider that entered the Chinese market in 2015, said homestays registered with the platform covered about 1,400 counties and villages, and rural homestays accounted for 22 percent of them by early October. For example, East China's Zhejiang, which is recognized as one of the leaders in the sector, was home to more than 16,000 rural facilities offering about 15,000 rooms, by the end of 2017, according to a report on homestay development conducted by the provincial department of culture and tourism. "It (sectoral development) will be rather a long process because the customers will eventually decide which homestays are the best," Lin said. 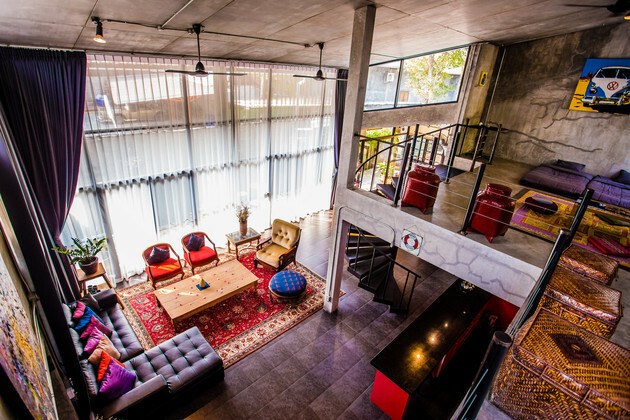 "As to overpricing at some luxury homestays, that's being mainly ascribed to their locations." Yao Jiangbo, a 47-year-old who has invested in a facility in Shanggaowu, a village in Zhejiang, said rural homestays are one of the best ways to help incomes in the countryside rise to equal those in urban areas, but investors are split over the best designs. "One ideal is down-to-earth, which is closer to genuine rural life and involves more rural elements in homestay construction, while the other is to shape homestays into more modern, luxurious places. It just depends on the individual investor's taste and their target group," he said. "I'm not that into traditional rural life. The homestay I built introduces urban life to the countryside because amenities are the key to attracting guests." Wu Jun, a researcher with the Tourism Research Center at the Chinese Academy of Social Sciences, said the origins of traditional rural bed and breakfast facilities lie in the early 1980s, when residents of Nongke, a village in Chengdu, capital of Sichuan province, adapted their farms to offer meals and beds for visitors. However, according to Lin from Kchange, there is an important distinction between the original B&Bs and modern rural homestays. "Traditionally, country dwellers attracted urban tourists by offering cheap lodgings and genuine rural activities, such as picking fruit. The owners regard their B&Bs as a side business because they have farmland to care for," he said. He added that modern rural homestays also differ from traditional rural accommodations in terms of management and emphasis, because their operation has been transferred from farmers to urban investors. "The modern homestay may share the same rural landscape as traditional farm B&Bs, but it functions as a place of leisure and a social platform. It emphasizes higher-quality services and aesthetics," he said. 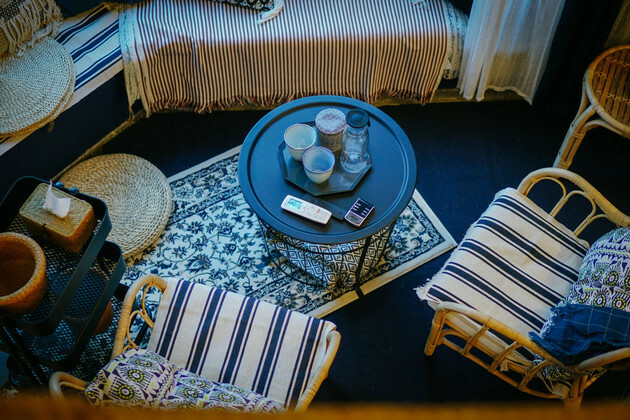 However, irrespective of whether accommodations are traditional B&Bs or modern rural homestays, legitimacy remains a problem for their development, according to Lin. "The homestay has not been clearly defined by law, and that has brought challenges related to management and supervision," he said. Also, conservative mindsets and seemingly irreconcilable conflicts involving land tenancy have daunted investors. Yao experienced resistance from villagers during the construction of his homestay in Shanggaowu. "The villagers clashed with our team over land tenancy," he said. "From their perspective, the land is owned collectively, so they wanted compensation because we were using their land for homestay construction. "Persuasion did not work and the situation quickly got out of control. It took time to dispel misgivings. Now, many villagers work for us as tour guides, waiters and cooks, and we also help them sell produce to visitors. Nevertheless, problems regarding legitimacy still beset me and other homestay owners." Lin said, "Thankfully, the (central and local) governments are exploring effective ways to manage homestays and clarify the legal position." In addition to these issues, there are concerns about safety and pollution. According to a November report by the China Tourism Academy, the development of rural homestays has been hampered by concerns such as fire prevention, and some homestays have been built on riverbanks or mountain slopes, so they are potentially at risk to natural hazards. Pollution is another headache, such as the excessive disposal of wastewater and formaldehyde, which has been found in paints and some types of furniture. In October 2017, the China National Tourism Administration issued four standards for homestay managers under which facilities were classified into two categories-gold and silver. Those in the gold category are recognized as high-level accommodations and must offer higher-quality services and infrastructure than those in silver, the next level down. Some provincial governments have introduced regulations tailored to local conditions. In May last year, a report said that by the start of 2017, more than 70 percent of homestays in Zhejiang had been licensed to offer services to guests, and the provincial government had issued about 120 guidelines to ensure a better environment for homestay operations. In June, to better regulate the market, the Shanghai government released requirements for rural homestays. They stipulated that facilities in the city's outskirts must adhere to strict standards for food, safety and sanitation. Despite concerns about management and safety, rural homestays have breathed new life into the countryside by encouraging younger rural dwellers and industry players to start businesses in backwaters. According to a November report by the World Tourism Alliance and Airbnb, the company has channeled resources into a number of undeveloped areas with good natural scenery to help villagers build their own homestays and improve their incomes. 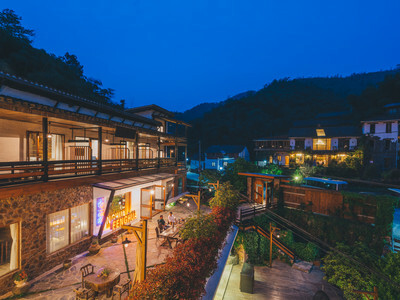 In November, six renovated bedrooms were opened on Airbnb in Jinjiang, a State-level impoverished village in Guilin, Guangxi Zhuang autonomous region, after the company signed a cooperation agreement with the Guilin Tourism Development Commission in October 2017. Yang Guodong, the tourism commission's project coordinator, said both he and the villagers were initially suspicious of the project. "The village enjoys quite good natural resources, but the average annual income remains at about 4,000 yuan per capita," he said. "The designers chose two shabby, disused houses owned by poor residents. At the time, we had no idea what they would be like after renovation. The senior villagers were rather conservative and said the project would alter their lives irrevocably (by appropriating local farmland and bringing outsiders into the community), which posed challenges to pushing the project forward." He said the distrust gradually disappeared after the villagers were invited to join the project to undertake work such as bricklaying, design and house cleanups for a daily payment of about 200 yuan each. Zhong Yiming, project director at Airbnb, said the 1.3 million yuan spent on renovation covered refurbishing activities and villagers' wages, while all the expenses were absorbed by the company. The villagers are also given a share of the earnings via a dividend. "After opening in November, the six bedrooms earned 20,000 yuan in just one month," he said. "I feel really proud, because we helped the villagers gain the confidence to make money in effective ways. People who live in poor areas definitely have a strong desire to become richer, but sometimes, they just don't know how to start." He added that Airbnb will transfer ownership of the facilities to the local residents free of charge once they have been properly trained. Liao Weiwei, a 32-year-old Jinjiang resident, plans to open a homestay this year. "I used to drive 10 kilometers to work, but now, I want to have my own homestay in the village to offer travelers a homelike lodging place," he said.